Sit back and let the Prototech team set up your business Wi-Fi network to maximize performance and optimize security. 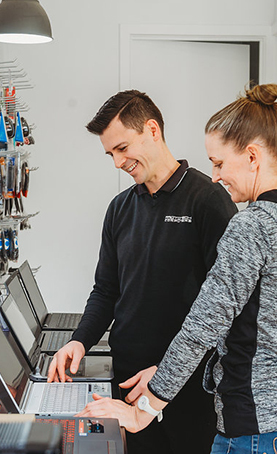 We will connect your wireless devices, recommend solutions to dead spots and slow speeds, plus perform an Internet speed test and Wi-Fi troubleshooting. We can set up your router to maximize performance and optimize security. We can connect your wireless devices to your new Wi-Fi network. We can assess your current setup and signal strength. We can help optimize the placement of your router while weighing performance and convenience. We can help you set up a unique network name and Wi-Fi password to protect your personal data. We can help customize advanced settings, like parental controls and guest networks.